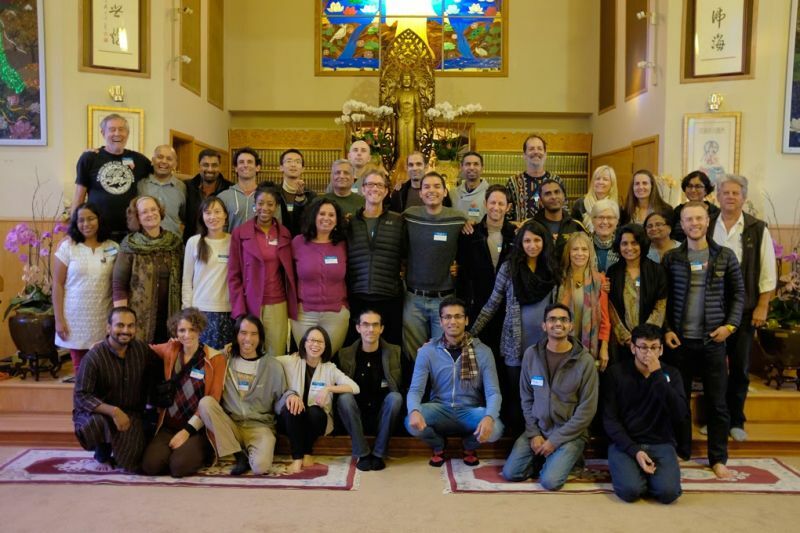 Last Sunday, 40 of us arrived at the Berkeley Buddhist Monastery, stepping into a space of peaceful serenity. The setting couldn’t be more fitting to be exploring money’s role for inner and outer transformation in our lives. Why are we talking about money?? 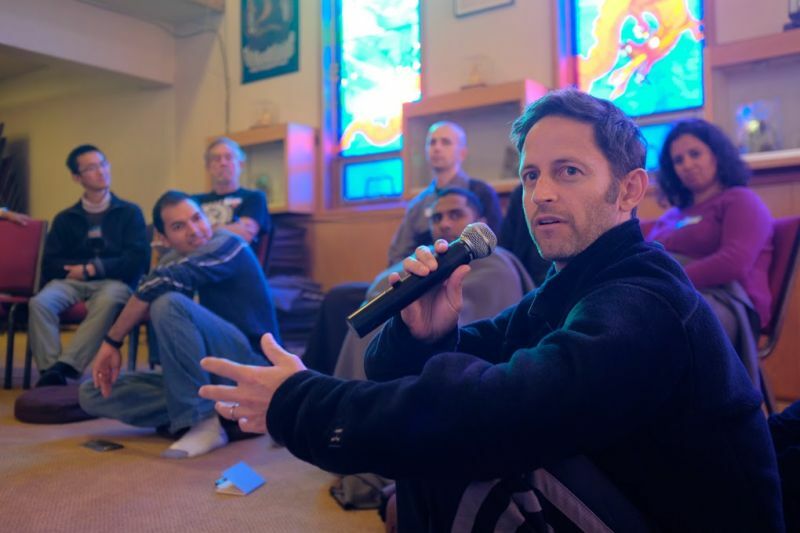 Rippling off inspiration from Jacob Needleman at our previous circle at Teance, we gathered to explore the topic of money not as a problem to be solved, but as a question to be lived. In that spirit, we went around in circle holding the question of how we can allow for our deeper values to be expressed in our relationship to money. So many times, the topic of money ends up being taboo amongst those who seek to live a life of meaning and service. Through not talking about it, we create the conditions for strife as we struggle with all the inner conflicts that arise from wielding a currency whose very rules seem at odds with our highest values. Our circle space was not about ending the strife, but bringing it into the open to see how our perspectives may evolve through community inquiry and practice. Chin Shien, our gracious host, welcomed us to the monastery, which also happens to be home to the Institute of World Religions! Speaking about his own radical transformation becoming a novice monk, he smiled at how he has $0 in his bank account but is living on a "different economy system” based on generosity. Receiving everything as a gift, including one vegetarian meal a day, keeps his heart full of gratitude seeing how many good people there are in the world. "What we can offer to society, is to show how everyone can live as simply as possible, and from this simplicity we can really deeply connect to our heart and grow real happiness… And this always is the question we're working on - what is the middle? where we can find balance in our lives? where is enough?" Opening the circle, Ari spoke about the value in confronting our edges in relationship to money as it is one of the most challenging places - "If I can make it here, I can make it anywhere". Like hungry ghosts, we can never feel satiated or sufficient around money, and for that he has started a simple practice - "whenever you feel a calling to be generous, act on it no matter what"! It was one beautiful circle that held space for so many diverse reflections - from Mark’s reminder to have money “serve life and love”, Tesa on confronting the shadow side of money, to Arathi’s practice of inviting patience and an ability to live with uncertainty. There were also practical questions like Zilong’s conversation with his parents on what “true security and safety means” when his parents financial security is tied to real risks in the real estate market, to heartwarming stories like Xiao’s realization that the biggest contribution to her family was not money but time and love, and Kokila’s share, that at 65, what more is there but to serve humanity with whatever there is left. Many stories of transformation too, from Rajesh’s understanding of power as “the capacity for meaningful action”, to Andrei sharing his hardest lesson in how to allow and gracefully accept “when you receive from other directions that you can’t even reciprocate”. Parth spoke of the cultural evolution of money from integrating nature to serving empire, and Pallavi reflected on her childhood through a beautiful poem and bringing us a collection of old coins. Birju offered his insight on how our neurology has been programmed by capitalism and might not actually support our path of deepest longing, and Jerry posed a thoughtful question of what an alternative currency could look like in a way that supports and reflects the real value and effort of educators, artists? Some memorable shares from the breakout sessions included an exercise in community by Shari who led us in passing on a hand-squeeze as an experience of intentional community, flow, and trust. Rahul unpacked the role of generosity in creating the interconnections that allowed for grace, David asked what we would do as the world’s 1%, and Lynn shared the difference in living in the bay area compared to a rural community in Idaho, and how our feeling of time scarcity is linked to the increasing complexity. The circle got richer as we started to explore the intersections between different themes. Andrei pointed out the polarity in our language in talking about scarcity and abundance, and spoke about the concept of an “enlightened middle” that represented a place of enoughness, that it was in the seeking of something outside of our reality that is causing our tension and suffering. German echoed the importance of where we place our attention, and shared the story of how his intention to quit his job, resulted in a raise and promotion! Alam then shared a powerful story of a friend who went from great wealth to homelessness, his lesson that it is not money that we need but the will to survive, and how so many people are yearning for deep connection. Reflecting deeply on why inequality exists, and the correlation to deep social problems like mental health, Nipun spoke about how money is actually “a belief in a belief” and how we have “boxed all kinds of value into one form of wealth” - and how we can only change the conversation if we start broadening different forms of wealth. 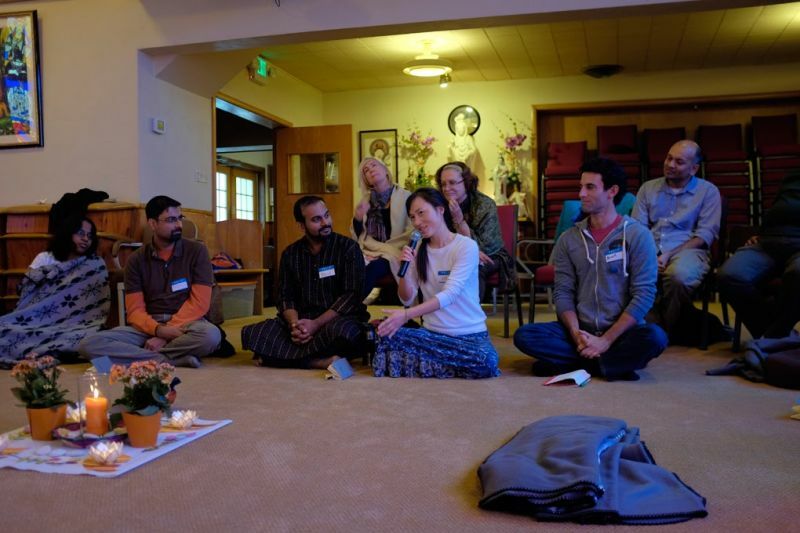 At the end, Birju led the group in a visioning exercise, and held space for one-to-one connections in a way that would support each other’s journeys. We regrouped for a final circle of gratitude with many of us agreeing with Jay that so many of our beliefs were confirmed, yet so many more were shattered! Yet, the surprises did not stop until the final moments of meditation - we opened our eyes to find a surprise gift! Someone in the ecosystem had heard about the intention behind the retreat, and had anonymously gifted each person with $20 to use it in any way. 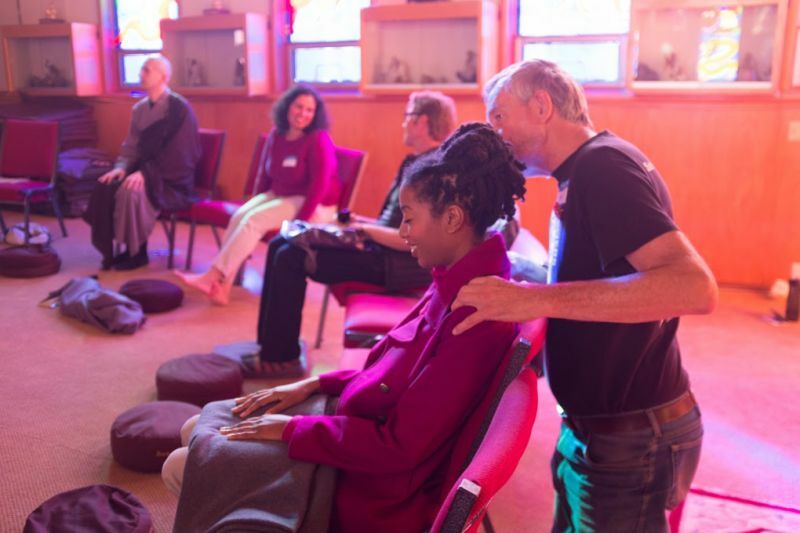 As Kozo joked - while most retreats about money would usually cost a lot, you actually get money for attending a ServiceSpace money retreat! I left with my heart full, with so much gratitude for everybody’s presence that brought a level of vulnerability and wisdom in the room, and all the invisible hands, gifts, and anchors that made this all possible. This is just one conversation among beautiful people who are seeking to use money as a tool for healing and for peace… while we don’t know where exactly this will lead, we are certain that the ripples will be felt. Look out for a 21-day challenge on this topic coming out next! Deep bow to the meticulous and beautiful hard work of the volunteers, for creating this sacred space for us!